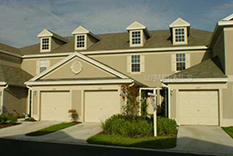 Westchase area’s Fisher Properties Group provides full-service turn-key rental property management and real estate brokerage services. The Westchase Community Association is the largest deed-restricted community (homeowner association) within the Westchase census-designated place. The community is organized into 28 neighborhoods, or villages. Some of these villages are organized into even smaller subsections. Each of these villages and their "sub-villages" are represented by a voting member and at least one alternate who are elected annually by the residents of a particular neighborhood. Some of the villages also have a website that is maintained by a "village webmaster". Residents are encouraged to participate by attending website committee meetings or providing material to help improve the website to the webmaster.